Valley Child Care and Learning Centers have more than four decades of experience in providing high-quality day care, preschool and early childhood education services. From our beginning in 1968 as All Seasons Child Care, we have always offered parents excellent, affordable child education and development services. 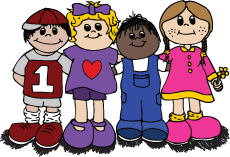 We took the name Valley Child Care and Learning Center in 1992 because we saw that quality infant day care, toddler care and preschool services like ours were in demand across the Phoenix metro area. We now provide child care that children love and parents trust in Phoenix and nine other childhood learning centers throughout the Valley. Our company now also contributes to the educational development of children at more than 48 childcare centers in the United States.Valley Learning Centers’ success is directly tied to the values and beliefs of our founder, Paul J. Emch. Paul Emch's original mission statement was to provide "tender loving care and education, too," to every child entrusted to him. More than 40 years later, that mission has not changed. Paul Emch is no longer with us, but the fourth generation of the Emch family now run Valley Child Care and Learning Centers with an equal commitment to education, quality and safety. We believe that every child is a precious, God-given being with basic needs – social, physical, emotional and intellectual. We will work to instill proper manners and values, honesty and sharing and respect and self-worth in your child. 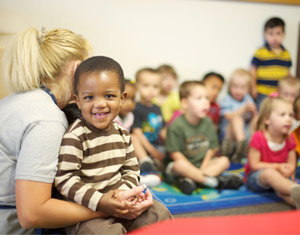 It is our purpose to meet those needs when your child is in our care by providing a safe and loving environment. Our Mission: To Make children Smile! Hello! My name is Stacy Sanchez, and I'm the Director of the Valley Child Care in Phoenix. My career with Valley Child Care started in 1995, and I have grown with the company ever since. It has been a privilege to watch all "my kids" grow and thrive in the 22 years that I have been in the early childhood field. I believe that part of my success is due to the fact that I am passionate about providing each and every child with a safe and nurturing environment. I attend enrichment courses, along with our teachers, because it's important for me to stay current when it comes to inspiring children to be the best they can be. I'm originally from New Mexico and moved to Arizona in 1993 when I started my family. My two sons, who attended Valley Child Care, are currently both in college. In my free time, I love to travel and explore new cities. I also enjoy spending time with my sons at sporting events and having family time. I'm committed to working with you and your child to make every day a learning experience. Come visit our center soon and discover the many ways we cultivate our children's curiosity and inspire them to bloom.